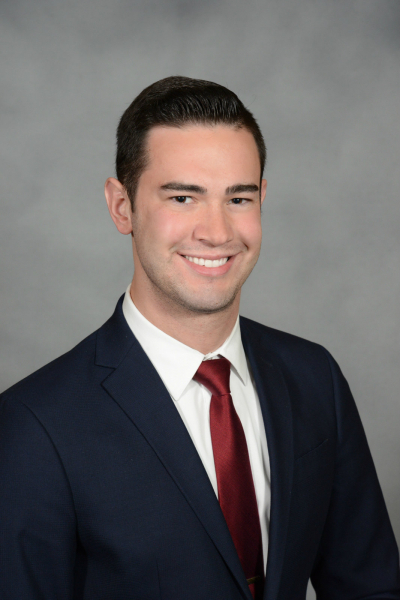 In this 3-part series, guest blogger, Edward J. Ajaeb discusses how investigators can use the Snapchat tool Snap Map. Last week, we walked you through the basics of Snap Map, the Snapchat feature that allows users to view location-based snap stories from users across the globe. This week, in our final segment, you’ll learn how your investigations can benefit from this open source app used across the globe. Snap Map can greatly enhance the information collected through traditional means of open source collection and social media scraping. 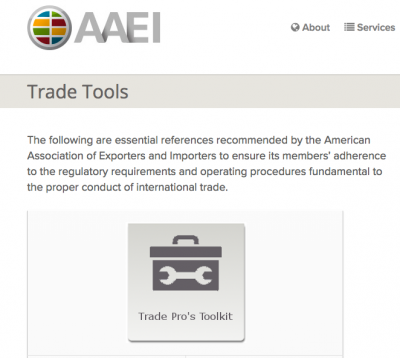 Investigators and open source researchers are already familiar with a variety of common-practice tools to gather information about specific locations of interest. Typical mapping services like Google Maps and Bing Maps offer both graphical and satellite views of locations. Google Street View and Google Earth are great for more dimensional perspectives of a location. Other sites useful for finding user-generated images of locations, events, and people include TripAdvisor, Yelp, Google Images, and of course the ubiquitous Facebook, Instagram, and Twitter. 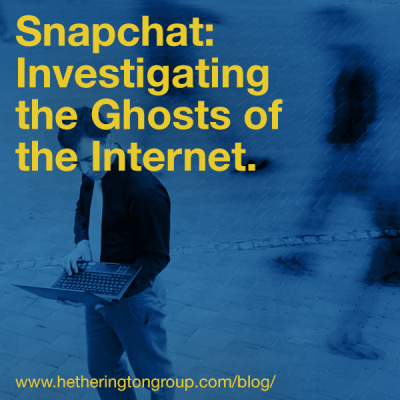 What Snap Map brings to the table for investigators is something most traditional mapping programs and other social media platforms cannot: The ability to see, in near real-time, location-specific events happening around your neighborhood or around the world. Yes, there is Facebook Live Map, but its privacy settings are more restrictive, and it lacks the ability to zoom in to see the same level of close detail and specificity as Snap Map. Plus, Facebook Live has had recent issues with increasing numbers of pre-recorded “fake” live videos. Snap Map has a similar purpose and functionality as Periscope’s map feature. Periscope allows for lengthier videos than Snapchat, but some experiments showed that the location accuracy and geotagging precision of Periscope were not as accurate. Snap Map allows you to zoom in as close as a city block or even a building to view what Snapchat activity may be originating there. Depending on what the user chooses to show in his or her video, a brief snap could be a crucial piece of information needed for your situational awareness of the location. Snap Map also allows users to see what events or incidents in the area may be of interest and could be the key to finding out about situations hours before they hit the news. Sporting events, concerts, protests, traffic incidents, and fire/police activity are just some examples of what could be found. Snap Map’s “heat map” design makes this even easier and more efficient, as dark red areas on the map indicate a higher level of snap-sharing activity. 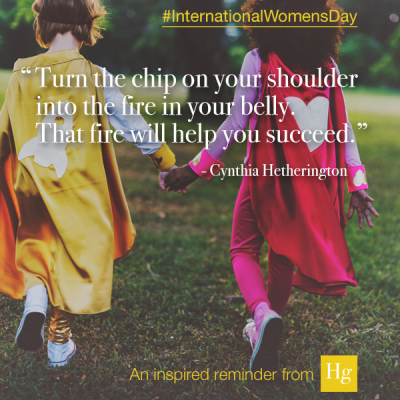 Say you’re following a protest, rally, or other large gathering in your town or neighborhood and want to gather more granular insights of what’s happening beyond the limited information available from local news or social media. Snap Map may be a useful tool for gaining a perspective from the ground. Watching a snap broadcasted from the middle of the crowd is probably as close as you can get to the action without being there in person. 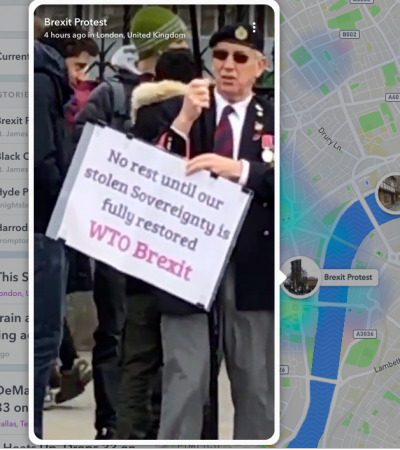 A recent “visit” to London on Snap Map showed Brexit protesters taking to the streets as parliament and the prime minister remained in heated deadlock. Another example you might consider is using Snap Map to complement your current GEOINT work using satellite imagery and traditional maps. Google Maps and Google Street View often show images which are months or even years old. Snap Map provides up-to-the-minute information pertinent to a location. Researchers, investigators, public safety personnel, and security analysts alike will find many useful and practical applications for Snapchat’s Snap Map feature. Situational awareness and understanding of a location are often key to successful investigations or mitigating risk. 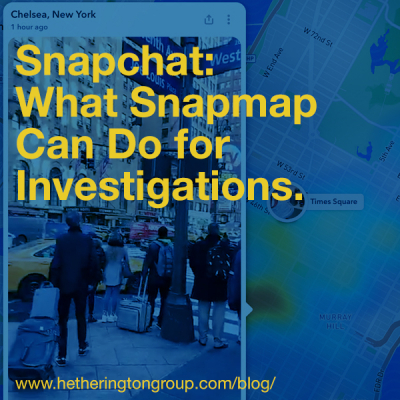 When used in conjunction with other open source tools and social media applications, Snap Map can provide critical intelligence for investigators. Snap Map not only allows for near real-time information to be shared, but its location-based design makes it an invaluable tool for any investigator. And for anyone who simply loves travel and discovery, you’ll find Snap Map to be a fun social media tool well worth the time spent exploring.